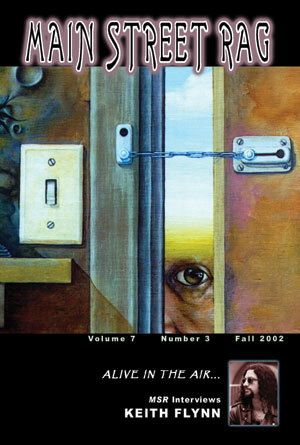 of Asheville Poetry Review and Crystal Zoo. Fiction by Craig Black and David Plumb. Reviews by George Held, Jen Hirt, Janet McCann, and Frank S. Palmisano, III. Poetry by Priscilla Atkins, Luis Cuauhtemoc Berriozabal, Barbara Crooker, Livio Farallo, Keith Flynn, Serena Fusek, Maura Gage, Taylor Graham, Nancy Henry, Eric R. Hoffman, Albert Huffstickler, Brett Hursey, Gerald Kaminski, Nancy King, Gerald Locklin, Don Mager, David T. Manning, Albert Markowitz, Jon Marshall, Sheila Sinead McGuinness, Robert Moore, Robert L. Penick, Mike Schneider, Andy Schuck, Gena Smith, & Bill Wesse. Cover Art by Robert Moore.